In the early morning, many alumni braved the rain to attend the ground breaking ceremony and anniversary celebration. There was a luncheon for alumni, parents, and students. 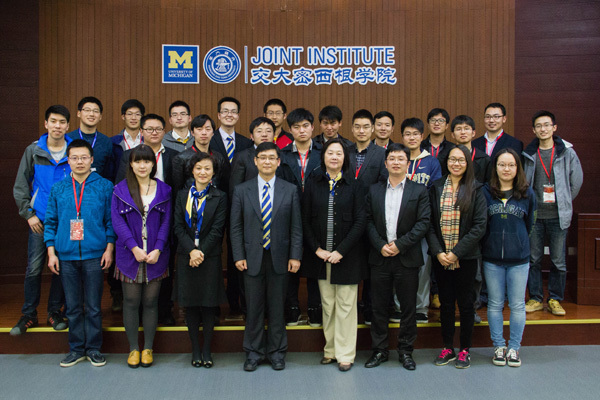 More than forty alumni from Shanghai showed up for the afternoon forum which was also attended by Dean Jun Ni, Associate Dean Gang Zheng, Kathy Xu, Director of Institute Advancement Office, Scott Yang, Student Affairs Manager, Yang Wang, Domestic Recruitment Manager, Wentao Qian, Student Counselor (Class 2013 Master), some faculty members, students, and parents. 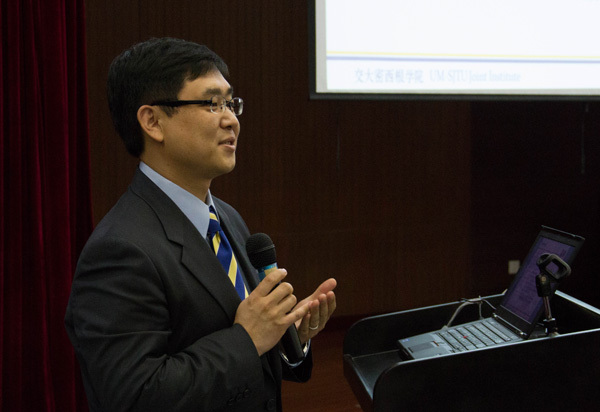 The forum was officiated by Hao Sun, a graduate of Class 2011. 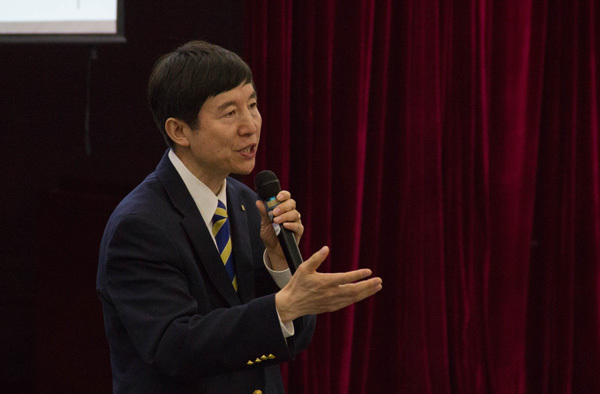 Associate Dean Gang Zheng updated the alumni on JI’s progress, including new awards and achievements over the past year. He emphasized that JI is engaged in expanding academic offers and recruiting top faculty so each JI student can pursue his/her academic interest. 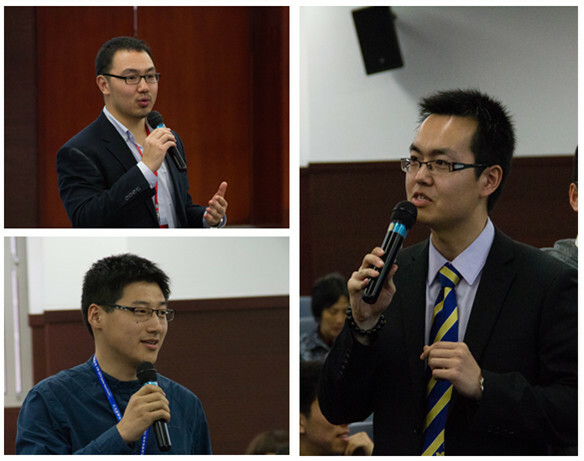 During the forum, four alumni shared their post-graduate experience. Long Cheng of Class 2010 reported working in Ingersoll Rand and General Electrics. He encouraged students to develop various capabilities. 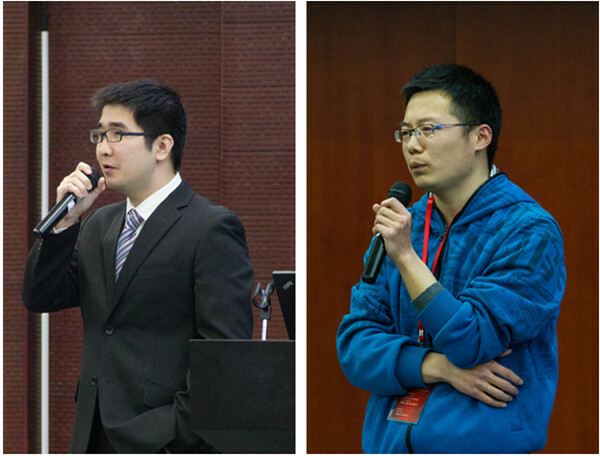 Longyue Li of Class 2011 demonstrated the importance of entrepreneurship through his venture experience. Xiang Ren of Class 2011 described how he joined the research in military industry after obtaining an advanced degree from abroad. Zhaoguang Wang of Class 2013 described his persistence in academic pursuit, which can be a model for current students. All of them thanked JI for teaching them how to work in a team, the capability of which is indispensable in all walks of life. Followed by their talks were discussions with current students about life goals and career choices. The major discussion of the forum was about how to strengthen the JI alumni association with the input of alumni, students, parents, and JI administration. It is expected that JI Alumni Association will thrive and serve a network for all alumni and JI to benefit each other.